“Just so you are aware, we have a ‘No Hijabs Allowed’ rule,” said the hostess over the phone to me last time I was in Cairo. I am an Egyptian woman living abroad in Dubai. I travel to Egypt regularly. Mostly during the summer and sometimes during the year. During my last trip to Cairo, I called to make a reservation at a popular lounge and restaurant concept located by the Nile, which was known to be a hotspot for upscale dining. After informing the hostess how many people would attend, what time and whether it was a special occasion, the pleasant sounding woman delivered the aforementioned discriminatory statement without a hint of regret or shame. It was said in a very matter-of fact way. Here in Dubai they tell you not to wear flip flops, in Egypt they tell you not to come if you wear hijab. Ask restaurant owners why they don’t want women in headscarves sitting in their lounges or clubs and many of them will say that it cramps the style of the place. It’s apparently not ‘cool’ to be covered. It has been that way for the past few years. And in Egypt, if you want to be at a cool place, then you better look the part. Egypt has seen a proliferation of upper-crust hot spots with the rapid development of posh spaces. The way people dress, eat and dance you would never guess that there was an “Arab Spring” followed by a rise of Islamist extreemists. 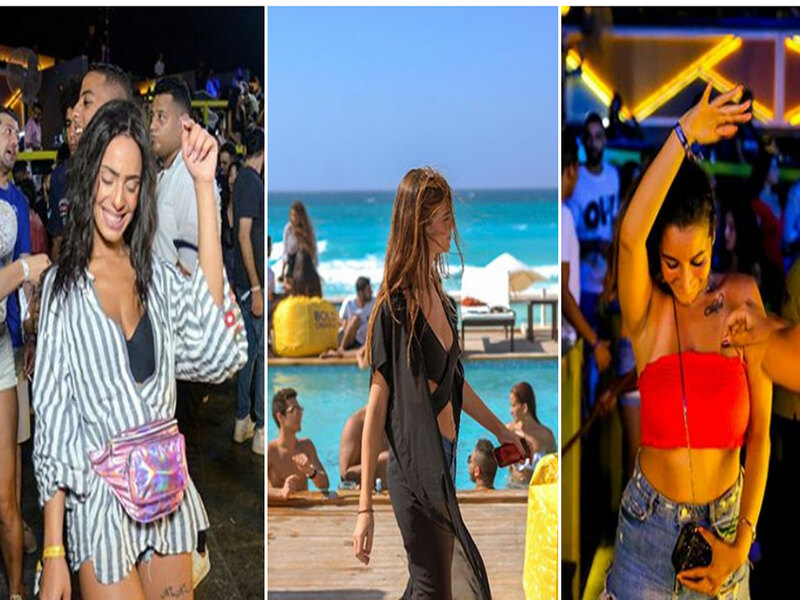 Cairo and the North Coast is full of numerous fashionable nightspots that are packed with a young crowd dressed in Ibiza-inspired outfits. In the summer, just take one look around beach clubs at the North Coast and if a girl isn’t in a two piece suit, or a guy is wearing shorts that are a hint too short, they might as well leave. On the other side of the spectrum, an Egyptian actress Rania Yousuf’s is facing trial next month after being charged with public obscenity when she attended the closing ceremony of a film festival in Cairo wearing a see-through embroidered gauze dress that revealed the entirety of her legs. Rania Yousuf’s trial, which is scheduled to begin January 12, follows a complaint to the chief prosecutor by a group of lawyers against the actress. Rania faces up to five years in prison if convicted. As you can see, Egypt is the land of contradiction. This constant state of confusion and cognitive dissonance is part creeping puritanism that has stifled freedom in Egypt in recent decades, part millennials actively trying to shed a new light on a conservative country to show that young people can dress how they want to dress, whether that’s a headscarf or a bikini. It is difficult to know what people in Egypt want. Part of the country is a growing religious conservatism, while the other part is just trying to live their life freely, trying to retain the vestiges of secularism. We want to have night clubs and fabulous red carpets, yet we want to condemn those who dress defiantly in public. Egypt doesn’t have a true identity. They are torn between wanting to be modern, tourism friendly and “cool”, but are set on maintaining an archaic way of punishing those who dare to be themselves.